Preces apraksts angļu valodā: Tidy up your workspace by reducing cable clutter with the Dell Wireless Mouse-WM326. With a great wireless connection and up to 18 months of battery life, you can enjoy reliable wireless performance day after day. Enjoy the flexibility and freedom of Dell Universal Pairing by connecting up to six peripherals via a single receiver. 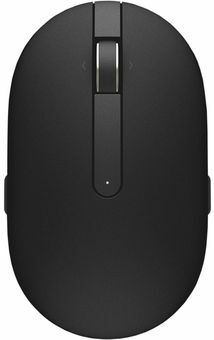 Featuring a lightweight, curved shape, the mouse is designed to minimize stress in the hand and wrist and can be used in either hand. With seven buttons and a scroll wheel for added functionality, the mouse also features accurate 1600 dpi laser tracking and will respond on virtually any surface. Ērta un kvalitatīva pele par labu cenu.